Cushman Creative, a design agency specializing in biomedical and life science marketing, was honored with two 2016 Hermes Creative Awards for its work with the MDI Biological Laboratory located in Bar Harbor, Maine. Hermes Creative Awards is an international competition for creative professionals involved in the concept, writing and design of traditional and emerging media, and is judged by The Association of Marketing and Communication Professionals. Other top winners include Aflac, IBM, Wells Fargo, Saatchi & Saatchi NY and the Washington Post. With a lifespan of just three weeks, tiny c.elegans enable researchers to study diseases of aging, such as Parkinson’s, in a matter of weeks instead of years. 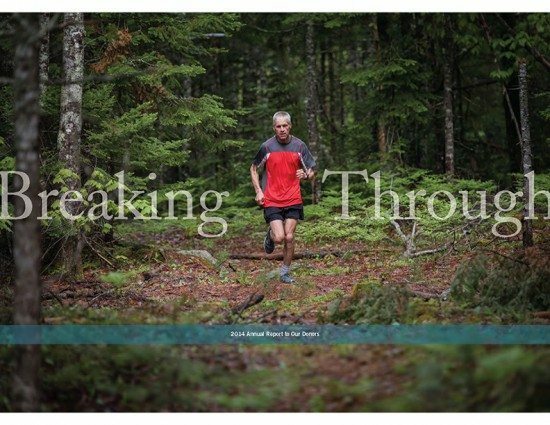 Breaking Through is an Annual report that celebrates the champions that make medical breakthroughs possible. 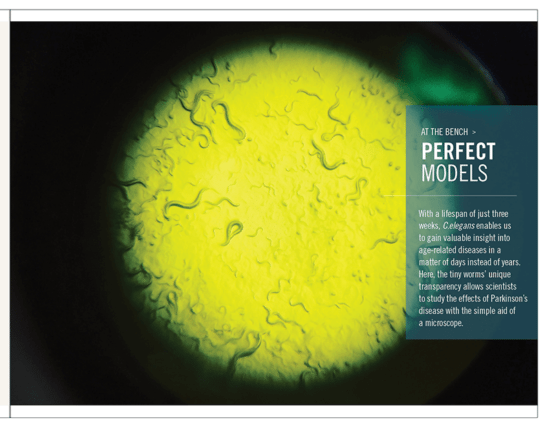 It highlights the contribution of patients like Michael Westphal who are determined to raise awareness; scientists who push research farther each day; ‘super’ models like c.elegans; and the donors who enable research to continue. Breaking Through includes two patient stories paired with the insight of a scientist at the lab. The goal was to give readers a glimpse into the lives of those who are driven by the possibility of the next medical advance. Here, light blue tissue shows new cell growth in a damaged zebrafish heart. 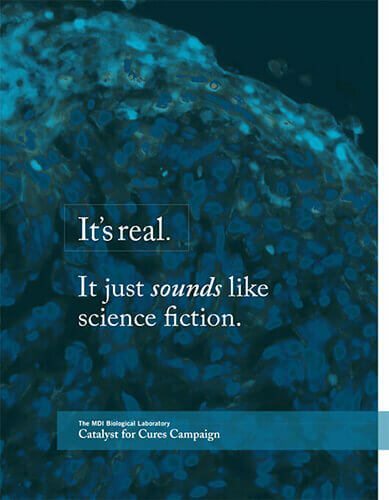 Catalyst for Cures is a Case Statement designed for MDI Biological Laboratory to support a $15 million campaign to expand infrastructure and secure talent for its growing regenerative medicine focus. Because it was a Leave Behind, it had to capture the imagination of its audience before they even opened the cover. From the very first word to the last, every element of the design and message is deliberately chosen to keep readers turning the page. The piece was also recognized in the prestigious 2016 Graphis Design Annual. You can find more information about the MDI Biological Laboratory and its research in aging diseases at mdibl.org. Special thanks to photographer, Rogier Van Bakel, copywriter, Maggie Cohn and Penmor Lithographers for their fabulous teamwork. 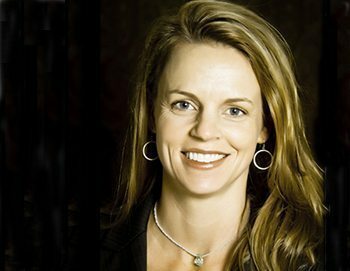 Founded in 2007, Cushman Creative is a branding and marketing communications firm that works exclusively with biomedical, life science and pharma brands that can improve quality of life. To see more work and learn about the firm and its services visit cushmancreative.com.